If you’re an investor in Lending Club, you likely recently received an email about Lending Club’s new REST API. If you aren’t familiar with the term API, it basically allows third parties to create a computer program that connects to your Lending Club account. The most important function is the ability to submit investment orders on your behalf, but the new API will allow these third parties to access additional data. Regular readers know that I’m a big proponent of automated investing – in particular those services offered by third parties. The changes to the new API will have a positive effect on the third party tools as well as your user experience. Below, I provide some additional thoughts as well as those from a developer at LendingRobot. From the user perspective, the biggest change is that users will no longer have to provide their actual Lending Club credentials to a third party tool. Instead of your credentials, just the authorization token is required. This is found under the ‘Settings’ link which is located on the top right when you login to your Lending Club account. This was one of my biggest concerns when I first got started with automating my investment and I’m sure I’m not alone. Perhaps if you were on the fence about these services before, now is a good time to have another look. I think you will be impressed with what they have to offer and with the new API; I see new opportunities to benefit investors. This means that users who previously had to download their notes in csv file to analyze data will now be able to access them programmatically if desired. In addition, I think having access to the Account Summary page will be beneficial. I picture the possibility of a full service dashboard, which would replace the need to have to login to your Lending Club account regularly to see basic information. Since available cash wasn’t previously available, the third party tools had to submit many orders at a time – not knowing that the first attempt may have already used up the available cash. Depending on how orders are handled, this could potentially lessen the strain on Lending Club’s servers. Previously, it was not possible to create a portfolio with an API. This required the tools to either allow you to select a previously created portfolio for your newly purchased notes or for them to not be assigned a portfolio. This will be an important change for me as I like to track the performance of separate groups of notes. LendingRobot is currently exploring the new API and is excited to get it in place. Kevin, senior developer at LendingRobot offered some of his thoughts from the technical perspective. They are hoping to see speed improvements and fewer submission errors. Since the new API was just released, they don’t have any data on how much faster it will be, but given the recent headaches – any speed improvement is welcome. API users and users who access the Lending Club website by manually logging in to their account both have identical access to loan inventory and data; there is no preferential treatment or special access granted to investors who access the Lending Club platform using the API. Q: What were the downfalls of the old API? A: The old API was built using a rather old standard called SOAP. The major problem here was that our site is built in Python and the best SOAP library available for Python hasn’t been in active development for over 3 years. In other words, ancient unmaintained code. What a nightmare. As you can imagine debugging becomes very difficult. The whole web ecosystem has gone towards REST. It’s a simple standard and we can use modern libraries to interface with it. A: SOAP was a brainchild of Microsoft and is the terrible byproduct of design by committee. They tried to make it do way too much and it became anything but Simple. REST, by contrast, sort of evolved out of need. Some developers kept it simple and it stayed that way. That’s not very technical of an answer, though just google “REST vs SOAP” and you’ll see plenty of thought out opinions. Did this change remove the slow-down Lending Club used to have with the API vs the main site? Or did they remove that prior to this update? I’m glad to hear they removed that artificial hobbling. The way their statement reads it sure seems that way – although perhaps it depends on whether the third party tools have moved over to the new API. I’ll have to check with Bryce from P2P-Picks at some point as he was significantly affected when the timing wasn’t the same. 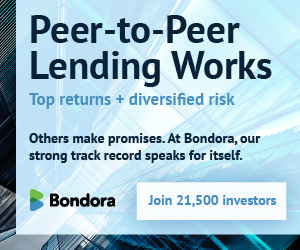 I personally haven’t had any issues getting P2P-Picks notes with Lending Club. Please do reply when you hear about the speed.